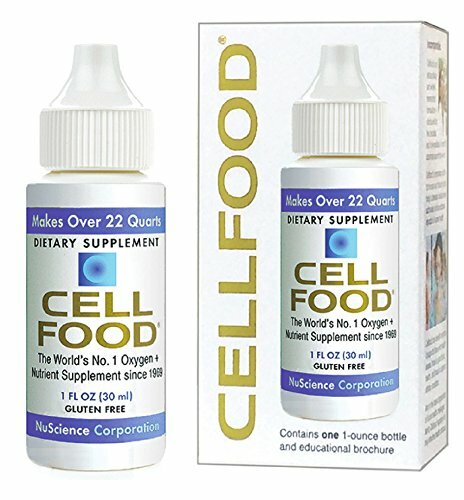 Cellfood is a proprietary oxygenating formula that contains a wide spectrum of pure trace ionic minerals, enzymes, amino acids and electrolytes— and utilizes a unique water-splitting technology. It provides an unsurpassed oxygen and nutrient delivery system, and is absorbed quickly and efficiently by every cell in the body. Cellfood’s unique structure oxygenates and feeds the cells— cleaning and tuning up the body’s systems throughout the day. Cellfood is the only product that does this, and with remarkable thoroughness. Cellfood is created by a proprietary process in which these all-natural nutrient-rich plant substances are held in a negatively-charged suspension of deuterium sulfate (a compound derived from hydrogen). The result is a remarkable formulation which— by utilizing the same technology used decades ago to split the atom— actually ‘dissociates’ (splits) water molecules within the body, neutralizes free radicals, and gives birth to cascades of vital, life-giving oxygen. Cellfood is made from all-natural plant substances, and is gluten-free. Just a few drops a day in water or juice can bring extraordinary benefits. Cellfood is the world’s No. 1- selling oxygen + nutrient supplement, distributed for 50 years, and utilized around the world. It’s one of America’s fastest-growing nutritional products today.